If you are looking for a perfume for women that can suit your young and cheerful personality, you should take a look at Burberry The Beat! 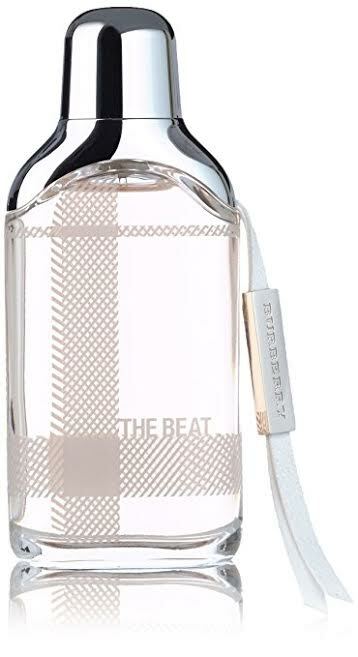 The Beat by Burberry is a women’s fragrance that delivers sparkling pleasant notes, suitable for any girl and woman who want to appear fresh and energetic. Coming with a nice modern packaging design Burberry The Beat has captured the hearts of many – and yours is next! The Beat is made by Burberry, an iconic British luxury fashion house. The company’s headquarter is located in London. They primarily focus on producing and distributing ready-to-wear outwears, accessories, cosmetics, and certainly fragrances. The company was established in 1856 by Thomas Burberry, and is famous for their distinctive check pattern – a trademark design which has been widely copied. Today, Burberry already has over 500 stores that are spread in over 50 countries all around the world. Burberry The Beat was introduced for the first time to the market back in March 2008. Since then, Burberry The Beat has become one of the most well-known fragrance for women, loved by many people for the pleasant and long-lasting longevity. It was designed and crafted by three famous perfumers who have also created many high-quality scents: Beatrice Piquet, Olivier Polge, and Dominique Ropion. Burberry The Beat is said to have a huge connection with music, due to the fact that it was inspired from Dirty Pretty Things, Razorlight, the Arctic Monkeys, and The Fratellis. No wonder; just like the music from which it is created, Burberry The Beat is youthful, cheerful, and energetic. The design of the packaging and the bottle of Burberry The Beat may remind you about Burberry Brit, in one way or another. Of course, just like other products from Burberry, Burberry The Beat has that one unique special pattern, which is the checkered pattern. The box comes in a light gray color, featuring the name ‘Burberry The Beat’ written confidently on the front side. Opening the box, you will be presented with a stylish translucent bottle which also features the checkered design. It looks trendy and modern. Burberry The Beat is best described as a sparkling and floral fragrance. It aims to project the lively spirit of a woman, being energetic, sweet, and expressive, yet with touches of modernity. There are also woody and musky accords coming from the cedar and vetiver ingredients. Burberry The Beat opens with citrusy and refreshing top notes of mandarin orange, bergamot, cardamom, and pink pepper. It then transforms and develops the heart notes that primarily feature the tea scent to create a pleasing atmosphere. Iris and bellflower notes add a degree of floral sweetness. Finally, the base of white musk, cedar, and vetiver concludes the scent. Burberry The Beat has excellent sillage and longevity. It projects well, neither too close to the skin nor too intoxicating, and it lasts for hours. It makes a perfect choice as a day wear and can be used for almost any occasion. Check the best price for Burberry The Beat here!